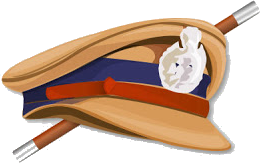 Khaki is the official color that adorns the Indian Police Force. A color that should reinforce security, help and support to citizens. However in most cases its the other way round. The color has for most citizens come to symbolize corruption and helplessness. An incident around 2 weeks back shook me at the brazen corruption and lawlessness that exists within the system. One of my relatives was picked up by the police and lodged in the lockup for almost 48 hours without even attempting to inform his family of this incident. His mobile phone was snatched and he was given no reprieve to even seek legal counsel. His mistake - having taken a beaten up fellow to the local hospital where the fellow eventually succumbed to his injuries. It was extremely lucky that his family learned of his arrest through some local contacts who had been to the station & spotted him in the lockup. Else he would have become a victim of the standard Indian Police modus operandi - catch up the first fellow who is even remotely connected to the crime, beat him up third-degree and then make him accept everything. In this case, we later learn't that there were bigwigs who were involved in the crime and wanted a scapegoat. Rumour mills abound now that they had bribed most of the station force for substituting a scapegoat. The timely intervention of his family helped save this innocent. In this context I had also visited the station and was aghast at the way Khaki folks reinforced their authority. The inspector in question looked us in the eye and said - "Don't interrupt our investigation. Please get out". This chalta-hai attitude of the police, their brazen right to arrest anyone and lock them up without giving them a chance to seek legal counsel is a gross violation of basic human rights. Its suprising that the same force that is supposed to enforce and protect human rights is involved in violation and misappropriation of the same. The next time i encounter a person in an gravely injured state (case of accident or vandalism), should i help at all - knowing the hell that i would endure from the law authorities. Even after the revised pay commission scales, how to prevent the Khaki force from falling for the lure of easy money and forget its basic commitment to society at large. When will we have a just and honest khaki force that reads us our Miranda Rights and functions in a fair an transparent manner rather than resorting to torture tactics to force the crime on someone. While am writing this, due to collective efforts, my relative has got out and the case seems to be now proceeding in the right direction (party due to outcry on part of the deceased's family). Another very important footnote to mention here is the role of the press and media at large. The large media houses (touting maximum readership) suppressed this incident (murder of the deceased) and its true story - going in for namesake reporting excluding all details of the real culprits. Definitely they have had their share of he spoils. However some of the online media newspapers (Marunadanmalayali, Deepika) stand out strongly for their righteous reporting & accurate portrayal of events. May their tribe increase. In such a corrupt system, a voice that represents the truth is solely needed.